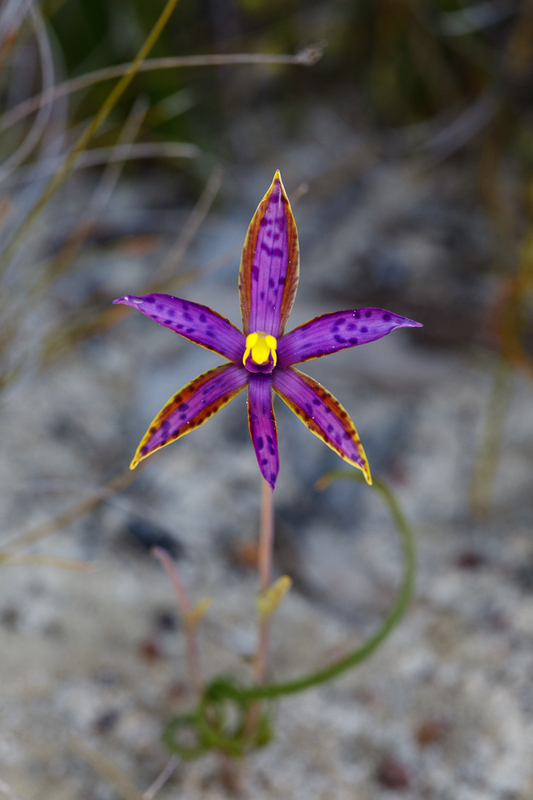 Orchid royalty: the eastern Queen of Sheba, Thelymitra speciosa. For many orchid enthusiasts, hunters, and photographers, it is something of a pilgrimage to go and see the Queen of Sheba in the wild. And its easy to see why. 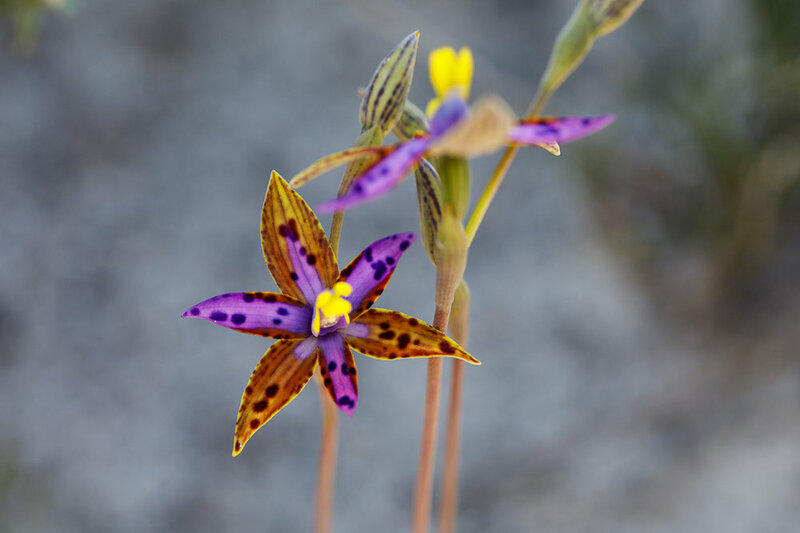 These spectacular orchids have the most vivid, eye-watering shades of purples, reds and yellows that come together in the most harmonious and unique way. Each individual has a slightly different combination of colours and spots. Note the thin, spiral leaf at the base of the orchid. Queen of Sheba belong to a group of orchids collectively known as sun orchids. They are so called because of their tendency to only open flowers on warm, sunny days. This is the case with the Queen of Sheba, although because they flower from early spring they do open when it is a little cooler. This individual had a slightly different colour scheme to the others: more yellows and reddish browns. Although the eastern Queen of Sheba is not classified as threatened, well-known populations are nevertheless at risk from trampling by overzealous enthusiasts and photographers, or even worse, illegal digging of plants by people ignorant to the requirements of terrestrial orchids. If orchid plants are dug up they are highly unlikely to survive as they have very specific requirements. There are also hefty fines for those caught doing it.